The 1971 War was one of the greatest Indian military victories, ever in it’s history. When the Indian Armed forces, not just defeated Pakistan, but also assisted in the creation of a new nation Bangladesh. It was also a war, in which the Indian Navy played an equally important role, unlike the 1962, 1965 Wars, that were primarily land based. And one of the most glorious chapters was Operation Trident, the surprised attack launched by the Indian Navy on the port of Karachi, on December 4, 1971. The 1971 War, started on December 3, 1971, when the Pakistani air forced, launched Operation Chengiz Khan, a series of pre emptive attacks on the Indian air force bases in Pathankot, Agra, Ambala, that fortunately did not cause any major damage. Operation Trident started on the same date, as did the Battle of Longewala and the Battle of Basantar, two major conflicts that titled the balance in India’s favor. Karachi was Pakistan’s major sea port, and also one of the busiest and deepest in Asia. Around 60% of the cargo was handled here, as well as being in close proximity to the Strait of Hormuz. And in 1971, Pakistani Navy, had its Head office in Karachi, as well as it’s entire fleet there. Since it was the center of the maritime trade, any blockade of the port would have had disastrous effects on Pakistan’s economy. This was the reason why the Pakistani Government placed the port under heavy security and surveillance. Now unlike the 1965 War, the Indian Navy was fully equipped and prepared, and the commanders of the Pakistani Navy knew this fact very well. They could not launch an offensive at deep sea against the India Navy, nor prevent it’s encroachment. 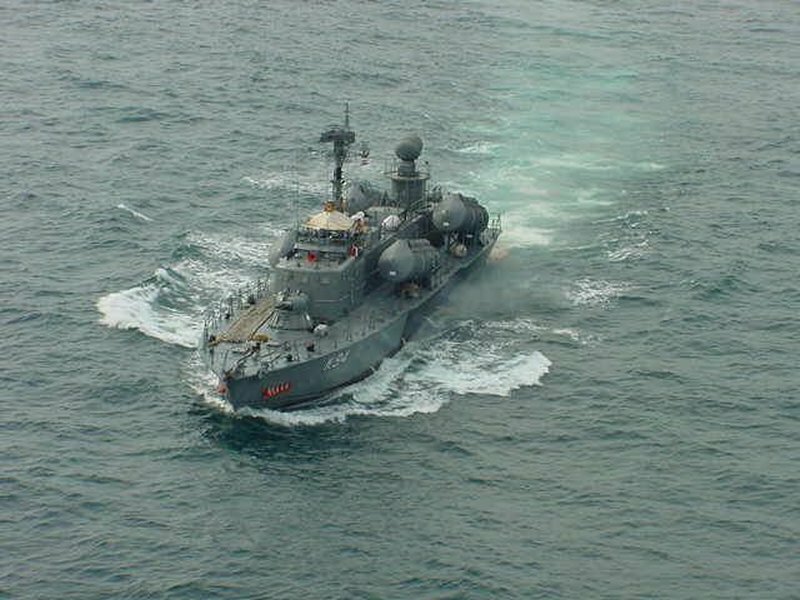 Also around November 23, the Navy deployed 3 Vidyut class near Okha for patrolling. When the war officially broke out, the Western Naval Command decided to form a strike group which included these 3 Vidyut class missile boats. However as they had limited operational range, support vessels had to be assigned to the group. And soon the Karachi Strike Group was formed with the 3 Vidyut class boats- INS Nipat(K86), INS Nirghat(K89) and INS Veer(K82). Each was armed with 4 Soviet made SS-N-2B Styx SSM( Surface to Surface Missiles), with a range of 40 nautical miles. These were backed up by 2 Arnala class anti submarine corvettes-INS Kiltan and INS Katchali, and a fleet tanker INS Poshak. The operation was under the command of Cmdr Babru Bhan Yadav, from Rewari in Haryana,a graduate of BHU and Commander of 25th Missile Boat Squadron. His father Major Bhagwan Singh Yadav, had earlier distinguished himself in the Indian Army, and fought in both the World Wars. 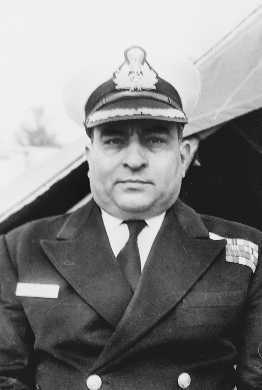 The entire operation was masterminded by the then chief of Naval Staff, S.M.Nanda who had then played a crucial role in modernizing the Navy, and also changing the focus from defense to attack. While the planning and implementation was carried out by Captain G.M.Hirachandani, who was regarded as one of the finest strategists in the Indian Navy. The strike group reached Karachi, and maintained it’s position outside the surveillance range. The plan was to attack during dusk, as the Pakistani Air Force did not have night bombing capability. 10:30 PM, PST- The strike group moves 180 Nautical Miles, towards South of Karachi and soon the Pakistani warships were detected. 10:45 PM- INS Nirghat made the first strike, firing it’s Styx missile at PNS Khaibar, a battle class destroyer. The missile hit the right side, causing an explosion in the boiler room. Nirghat fired again, hitting on the starboard side, eventually sinking the ship, and around 222 were dead. The delay in the rescue teams reaching the location made matters worse. 11 PM- INS Nirpat fired two Styx Missiles, one each at cargo vessel MV Venus Challenger and another at PNS Shahjahan, a C class destroyer. Venus Challenger that was carrying ammunition, exploded immediately and sunk, while Shah Jahan was badly damaged. 11:20 PM- INS Veer targeted PNS Muhafiz, an Adjutant class minesweeper, hitting on the left side of the bridge. The ship sank immediately, killing 33 on board. Meanwhile INS Nirpat continued towards the harbor, and targeted the Kemari oil storage tanks. One of the missiles hit the tanks, that were totally destroyed, causing a massive fuel shortage for the Pakistani army. It was a disaster for the Pakistani Navy, with 3 ships sunk, one badly damaged, and it’s fuel storage tanks destroyed. Though the Pakistani Air Force, retaliated by bombing Okha harbor, the Indian Navy had moved it’s missile boats to more secure locations. However one fuel tank was destroyed, putting all operations on hold till Operation Python launched 3 days later. With zero casualties on the Indian side, this is considered as the most successful naval operation, post World War II, and the Indian Navy celebrates Navy Day, every year on December 4 to mark this occasion. Many of the Indian officers were highly awarded in this operation. G.M.Hiranandani- Nausena Medal for the operational planning. He would later become the Vice Admiral. Babru Bhan Yadav- The Commander was awarded the Mahavir Chakra. Lt Cmdr Bahadur Kavina( INS Nipat), Lt Cmdr Inderjit Sharma( INS Nirghat) and Lt Cmdr Om Prakash Mehta, the COs were given the Veer Chakras. 1930, Stockholm- The 42 year old dark skinned, Indian stepped on to the stage to receive the Nobel Prize for Physics from King Utsav. With his turban and dark skin he stood out in a sea of white faces. As he looked around the auditorioum and the applause, he realized that he was sitting under the Union Jack. And that his nation, India did not even have a flag of her own, that made him break down. That man was none other than Chandrashekhar Venkata Raman, or C.V.Raman as he was popularly known. The first Indian to have won a Nobel in Physics, and the only Indian citizen to have won it. The others Hargobind Khorana, Subramanya Chandrashekhar( his nephew incidentally) and Venkataraman Ramakrishnan were born in India, but won for their work as US citizens. He was also the first Asian to get the Nobel Prize in Science, for his Raman Effect, which experimentally demonstrated that the light-quanta and molecules do exchange energy which manifests itself as a change in the colour of the scattered light. It was one of the most convincing proof for quantum theory of light. And it was not just physics, he published around 475 papers on topics ranging from astronomy to metereology to physiology. His work on the mridangam, bought to light the accoustical knowledge possesed in ancient India. The genius was born on November 7, 1888 in a small village Thiruvanaikaval near Trichy on the banks of the Kaveri. His maternal grandfather Saptarishi Sastri was a renowned Sanskrit scholar, and his parents were R. Chandrasekhara Iyer and Parvathi Ammal. Raman studied for some time in Vishakapatnam at the St.Aloysius High School , where his father was mathematics lecturer at the AVN College here. In 1903 he joined the prestigious Presidency College in Chennai, where he topped both the BA and MA exams, won the gold medal in Physics. While he was a naturally brilliant student, some books influenced him much more. One was Edwin Arnold’s The Light of Asia on Gautama Buddha, that infuenced him spiritually. Euclid’s Elements kindled his interest in geometry and Hermann von Helmholtz.’s The Sensations of Tone on music and musical instruments. Inspite of his brilliance in science, he was not encouraged to take up science as a career, and on his father’s insistence took the Financial Civil Services exam. He stood first and joined as an Assistant Accountant General at Kolkata in 1907, in the Indian Finance Department. However when he chanced on the Indian Association for the Cultivation of Science( IACS), he joined it enthusiastically, after meeting the Secretary Amritlal Sircar. IACS was actually set up by his father Mahendralal Sarkar, one of the brighest minds of his time, and only the second one to get an MD from Kolkata University, and started the association for the propagation of science and inculcate a culture of research. Raman often referred to his period at IACS as the golden phase of his career. Working with very limited equipment and that too in his spare time, he managed to get his research findings published in journals like Nature, Physics Review. He did his research primarily on accoustics, studying many musical instruments like tabla, mridangam, violin. He published a monograph on the violin titled “On the Mechanical Theory of Vibrations of Musical Instruments of the Violin Family”. In 1917, he was invited by Ashutosh Mukherjee, then VC of Kolkata University, to join as a Palit Professor of Physics in the newly established Science College. Raman happily accepted the offer, even though it was less than what he was getting in the Government service. Though his position did not entail any teaching and was primarily research oriented, Raman being a born teacher, taught in the Science classes. The by now famous Raman Scattering effect was discovered by him in 1928, along with another scientist K.S.Krishnan.The Raman Spectroscopy based on the Raman Effect, is a technique used to observe vibrational, rotational modes in a system. This actually happened during a voyage to Europe in 1921, when he noticed the very blue color of Mediterranean Sea. He carried out experiments regarding scattering of light, using monochromatic light from a mercury arc lamp. He detected lines in the spectrum, and presented his theory to other scientists. He in fact was confident of winning the Nobel for Physics in 1928 itself for his work on spectroscopy. And was quite disappointed when he found out that he had been bypassed. He would however win the Nobel for Physics later in 1930, for his work on Scattering of Light, becoming first Asian scientist to do so. Apart from his discovery of scattering of light, he, did notable work in other areas too. Along with Suri Bhagavantam, Raman discovered Quantum Photo Spin in 1932, later worked on accoustics of musical instruments. He was one of the first to investigate harmonic nature of the sound in the tabla and mridangam. He worked out the theory of transverse vibration of bowed strings, and also investigated the propagation of sound in whispering galleries. Along with his student Nagendra Nath, C.V.Raman provided the explanation for accousto-optic effect,resulted in Raman-Nath theory. He also continued his research work at the IACS laboratories, and he later became it’s Hon Secretary in 1919. However in 1933, he left for Bangalore to become the first Indian director of IISc, as well as the head of it’s Physics Department. Raman established a new physics department at IISc, a central workshop for fabricating precision instruments and he also set up beautiful flower gardens in the campus. One of his students would be the notable G.N.Ramachandran, who would do pioneering work on the peptide structure. He carried out studies on diffraction of light by ultrasonic waves and effects of X-Rays on infrared vibrations in crystals. Appointed as India’s first national professor, he did indepth studies on the structure and properties of diamonds, and optical behavior of iridescent substances like agate, opal and pearls. However accusations against him of favoring the Physics Department at IISc over others, made him step down from the Director’s post, though he continued as Head of Physics department till 1948 when he retired. After retirement he worked on establishing the Raman Research Institute in Bangalore, investing all his life’s savings including the Nobel Prize winning amount. The land was gifted by the Mysore Maharaja. Short of funds, he started a company called Travancore Chemicals and Manufacturing that manufactured Potassium Chlorate for the matchstick industry. With 4 factories and a good dividend, he managed to earn enough to support his Institute financially. He also founded the Indian Academy of Sciences Bangalore, in 1934, to discuss on scientific research and symposia on subjects. In the past, India had shown her greatness in the fields of scholarship, philosophy and science but today, we are helplessly dependent on Western countries for knowledge of science. India should not be a camp-follower but a leader in science. It is no use getting our ideas from the west. We have to think out our problems and find the solutions to them. While Raman believed that Science was the solution to most of India’s problems, he felt that India should not be dependent on others for ideas. He encouraged the Indian youth not to lose spirit and courage, a spirit of victory that would give us our rightful place. I can assert without fear of contradiction that the quality of the Indian mind is equal to the quality of any Teutonic, Nordic or Anglo-saxon mind. What we lack is perhaps courage, what we lack is perhaps driving force which takes one anywhere. We have, I think, developed an inferiority complex. I think what is needed in India today is the destruction of that defeatist spirit. We need a spirit of victory, a spirit that would carry us to our rightful place under the sun, a spirit which will recognize that we, as inheritors of a proud civilization, are entitled to a rightful place on this planet. If that indomitable spirit were to arise, nothing can hold us from achieving our rightful destiny. He had a very holistic view of science, and felt nature had the best answers for it. He was also an ardent follower of Mahatma Gandhi, instituted the Gandhi Memorial Lecture in the Raman Research Institute. On November 21, 1970 he passed away at the age of 82. But not before leaving a rich legacy. The Physics Department at University of Kolkata and IISC were both the products of his hard work and dedication. And he was a great institution builder too, from Raman Research Institute to IACS, and being one of the founders of the Indian Science Congress. Let us try to make our universities the best–we should not be satisfied with anything less than the best. What will be the result? Instead of a great many of our young men going out of the country, they will remain here and strive to advance our reputation and that will make us strive for more and more good things. These immortal lines by the Hindi poet Subadhra Kumari Chauhan, sum up one of the most fascinating woman in Indian history. A woman whose name has come to symbolize courage, independence and honor. A legend in her lifetime, Manikarnika, better known as the Rani of Jhansi, Lakshmibai. Bundelkhand a region lying between the Indo-Gangetic plain and the Vindhyas, marked by hills, valleys, sparse vegetation and rocky outcrops. A region known for it’s harsh climate, aridity and barren spaces, an environment that has produced some of the hardiest warriors and rulers of India. The Chandela Rajputs who built the stunning temples at Khajuraho, Rudra Pratap Singh, who founded the princely state of Orcha, and is famous for the magnificient buildings. Veer Chhatrasal who defied the Mughals, and carved out an independent state. In modern times, the hockey wizard Dhyan Chand, the great Hindi poet Maithili Sharan Gupt, prominent Hindi movie lyricist Indeevar, novelist Vrindavan Lal Verma, all hailed from here.It was to such an illustrious lineage that the Rani of Jhansi, belonged to. Among the pantheon of greats of the 1857 revolt, she was one of the major leaders, and regarded as the greatest danger too by the British. This woman who would defy the British, and become a byword for courage and honor, was born as Manikarnika on November 19, 1828 into a Marathi Brahmin family in Varanasi to Moropant Tambe and Bhagirathi Sapre. Her father worked for the Peshwa of Bithoor, who bought her up like his own daughter, called her Chabili. She was educated at home, and more independent in childhood than others of her age. She learnt horse riding, archery, sword fighting as well as mallkhamb, growing up with her childhood friends Tatya Tope, and Nana Sahib, who happened to be her cousin too. She loved horse riding, and it’s believed that sbe once managed to beat Nana Sahib himself, on her horse. No mean feat as Nana Sahib was regarded as one of the finest horse men then. Sarangi, Pavan, Badal were her favorite horses, and it’s believed she rode Badal during her escape from Jhansi. Jhansi originally was the stronghold of the Chandela rulers and was called Balwant Nagar. Losing it’s prominence, it however recovered it’s past glory under Raja Bir Singh Deo of Orchha, who also constructed the famous fort there. When Baji Rao rescued Veer Chhatrasal from the Mughals, Jhansi was one of the territories given to him as a mark of gratitude. The city developed under the Peshwa rule, and Naro Shanker the Subedar, extended the fort, built many other structures too. The Newalkar clan played a crucial role in governing Jhansi, including revenue collection, as well as the temples there. At the age of 13, Manikarnika was married to Gangadhar Rao Newalkar , the Maharaja of Jhansi in whose court her father worked and she was given the name of Lakshmibai. The Maharaja was known for his statesman like qualities, a wise administrator and had a fine library of Sanskrit manuscripts. When their 4 month old son Damodar Rao, died, the Maharaja adopted his cousin’s son, Anand Rao, whom he named after his own son. As per Hindu tradition, Damodar Rao was the legal heir, however the British refused to accept him as one.Gangadhar Rao, requested Lakshmibai to take care of Damodar Rao, when he passed away, and the adoption was done in presence of a lawyer. Lord Dalhousie however refused to accept Damodar Rao’s accession as per Doctrine of Lapse, and decided to seize Jhansi.Basically the Doctrine of Lapse was signed between East India Company and Princely States. As per this if the ruler of a princely state died without a natural heir, the East India Company cud annex it.Satara was the first princely state to be annexed under the Doctrine of Lapse this way. The British authorities confiscated the state jewels of Jhansi in March 1854 and she was asked to leave the fort and move to Rani Mahal. She was however not willing to give up Jhansi, assembled a volunteer Army, and strengthened the defenses. Women were also given military training under Lakshmibai, and soon many other warriors gathered under her. Ghulam Gaus Khan, Dost Khan, Moti Bai, Dewan Raghunath Singh, Jawahar Singh were those who rallied behind Jhansi Lakshmibai. In the meantime, the Great Revolt broke out in May 1857, beginning with Meerut, however Jhansi remained distant from the turmoil initially. However in June 1857, rebels of the 12th Bengal Native Infantry captured the fort, and massacred around 40 to 60 European officials along with their families. Even though she insisted that her forces were not guilty of the massacre, the British did not believe it, with an army doctor, Thomas Lowe accusing her “as the young rani upon whose head rested the blood of the slain”. Also Jhansi was attacked by by Orcha and Datla, the Company’s allies, whose main aim was to take over the kingdom and divide it. She appealed to the British for aid against the attacks by Orcha and Datia, however they did not respond. Lord Dalhousie felt that Lakshmibai was involved in the massacre, and refused to help her out. For quite some time, till January 1858, Jhansi was relatively at peace, compared to the rest of the North, which was in complete turmoil. She used the time to strengthen the defenses of her fort, setting up a foundry to cast cannon on the walls, and assembled an army that included feudatories of Jhansi too. When the British troops led by Sir Hugh Rose attacked Jhansi on March 23, 1858, she had no hesitation in plunging into the revolt. Sir Hugh Rose demanded the surrender of Jhansi, else it would be destroyed on refusal. The bombardment of the fort began on March 24, 1858, however the people of Jhansi fought back valiantly, under the leadership of Lakshmibai. She proved to be a true leader, rallying her troops, moving from one defense to another, keeping up the morale of people. The women’s unit raised by Lakshmibai was also active supplying arms and food to the soldiers. In the meantime Lakshmibai made an appeal to Tatya Tope, who rushed to her defence with a force of 20,000. However his men were no match for the better trained, better equipped British forces, who defeated them on the field on March 31, 1858. By April 2, it was decided to breach the walls, 4 columns of the British assaulted the fort’s defenses at various points. Jhansi could no longer hold out, and the British finally managed to break the siege, and enter the fort. 2 columns of the British entered the city and advanced towards the palace, however they were met with resistance at every corner. The residents of Jhansi engaged in continuous street to street fighting with the British soldiers and stubbornly resisted them. The Rani’s advisers asked her to leave the fort, as resistance was futile by now, and join either Nana Sahib or Tantia Tope. Rani Laxmibai managed to escape from Jhansi with Damodar Rao on horseback,and left to Kalpi, where she met Tatya Tope. Her adopted son strapped to her back, on the horse back, Lakshmibai jumped at this point to escape the British. She was escorted by her commandant Khuda Baksh, and her loyal warriors Gulam Gaus Khan, Dost Khan, Lala Bhau Bakshi, Moti Bai, Sunder-Mundar, Kashi Bai, Deewan Raghunath Singh and Deewan Jawahar Singh. Memorial dedicated to her trusted lieutnants Ghulam Gaus Khan, Motibai and Khudabaksh. The British attacked Kalpi on May 22, 1858, defeating the Indian forces, forcing her to flee along with Tatya Tope to Gwalior. The Scindia ruler had fled to Agra, with his forces switching to the rebels, and Gwalior was occupied by Lakshmibai and Tatya Tope, with not much opposition. The Fort was now under the rebels ,who proclaimed Nana Sahib as the Peshwa of a renewed Maratha dominion. However other rebel leaders did not heed the Rani’s call to come together against the British, and soon enough General Hugh Rose, once again attacked Gwalior, after taking Morar. The final battle began at Kotah Ki Serai near Gwalior’s Phool Bagh, when Captain Clement Walker-Heneage, led the 8th Hussar’s against Lakshmibai’s forces. It was a total rout, as the Hussar’s charged into the Indian forces, slaughtering around 5000 on one single day. As they charged right up to the Phool Bagh encampment, Lakshmibai rode into the battle, putting on a sawar’s uniform, her final one against the British forces. She fought bravely till the end, wounded first by a sabre, and as she sat bleeding on the ground, one of the Hussar’s killed her with his carbine. One of the greatest warriors of the 1857 Revolt, was no more, a true heroine’s life came to an end.Gwalior was captured after 3 days, by the British, Lakshmibai was cremated somewhere near by the local people. Whatever her faults in British eyes may have been, her countrymen will ever remember that she was driven by ill-treatment into rebellion, and that she lived and died for her country, We cannot forget her contribution for India- Col George Malleson in History of the Indian Mutiny. The best tribute to Lakshmibai was paid by Sir Hugh Rose who called her the most dangerous of all the Rebel leaders. Her memorial is located in Gwalior’s Phool Bagh area, where she fell fighting to the last. Lakshmibai’s sacrifice did not go in vain, she would inspire and motivate a whole generation of freedom fighters. When Netaji Subash Chandra Bose raised the Indian National Army, he named the women’s unit in honor of Rani of Jhansi. My appeal to you therefore is that a man like this who is being charged with the offences imputed to him stands not only before the bar in this Court but stands before the bar of the High Court of History and my appeal to you is this: That long after this controversy is hushed in silence, long after this turmoil, this agitation ceases, long after he is dead and gone, he will be looked upon as the poet of patriotism, as the prophet of nationalism and the lover of humanity. Long after he is dead and gone his words will be echoed and re-echoed not only in India, but across distant seas and lands. The bespectacled lawyer concluded his defense, after 8 long days, in one of the most intensely fought trials ever during the British Raj. The Alipore bomb case, where a number of Indian revolutionaries were tried on the charges of waging war against the Government. The trial was sparked by the assasination attempt of Douglas Kingford by the young revolutionaries Prafulla Chaki and Khudiram Bose. The defendant here was one of the prominent accused in the case, but acquited later after the trial, though his brother Barin would be deported to the notorious Cellular Jail. The defendant- Aurobindo Ghosh, a firebrand revolutionary, who later became a spiritual thinker and founded the Ashram in Pondicherry. The bespectacled soft spoken lawyer, was none other than Chittaranjan Das, popularly known as Deshbandhu, mentor to Netaji Subash Chandra Bose and founder of the Swaraj Party in Bengal. Chittaranjan Das was born in Vikrampur, now located near Dhaka, associated with the Pala empire and later the capital of the Sena rulers Ballala Sena and Lakshmana Sena. A small town in which such legendary figures like J.C.Bose, P.C.Mahalanobis were born, as also the revolutionary trio of Binoy, Dinesh and Badal. And was a center of learning and culture during the 12th century. He was born into a well off Brahmo family, to Bhuban Mohan Das and Nistarini Debi on November 5,1870. His uncle was the prominent Brahmo social reformer Durga Mohan Das. His cousins included Atul Prasad Sen, noted writer, Satish Ranjan Das who founded Dehradun’s iconic Doon School, noted educationist Sarala Roy and social reformer Abala Bose. The former Chief Minister of Bengal, Siddartha Shankar Ray, was his own grandson. The Das family of Telirbagh, at Vikrampur to which he belonged was one of the more prominent ones. He was married to Basanti Devi, daughter of a diwan in Assam, working for the British, and she would later carry on her husband’s work, after his death. In fact along with her sister in law Urmila Devi, she became one of the first women to court arrest during the Non Cooperation movement in 1921. Affectionately called as Ma, by other freedom fighters and revolutionaries, she especially had a very good bonding with Netaji. A student of Presidency, he was influenced a lot by the writings of Bankim Chandra Chatterjee, and led the Students Association. Coming from a family of lawyers, he went to England to study Law, and was admitted to the Bar in 1892. He made many speeches in England, most famous being supporting Dadabhai Nauroji in his election to House of Commons. It was during this time, he became good friends with Aurobindo Ghosh and Sarojini Naidu too. On his return to India in 1893, C R Das began to practice Law, but for the major part it was more or less a struggle for him. In fact at one stage,his family was in financial troubles, and they actually had to claim insolvency. However he managed to clear the debts, and just when his law carrer seeemd to have taken a turn, he quit it in 1894, to plunge into the freedom movement. His most famous case would be that of the Alipore Bomb case during 1908-09, where he defended the revolutionaries, convicted of waging war agains the Government. Even though he was not in the best of health, he went all out to defend Aurobindo Ghosh in court, and managed to get him accquited. The bonding between Chittaranjan Das and Aurobindo, went much deeper, when the latter was in financial trouble, he helped him again.Again when Aurobindo was in need of money in Pondicherry, it was Chittaranjan Das again who helped him, asked him to translate his book of poems Sagar Sangit into English, for which he was paid.The other landmark case Chittaranjan Das handled was the Manictolla Bomb case, where he successfully acquited 36 youngsters. He was also actively involved in the foundation of the Anushilan Samiti, along with Pramatha Mitter. And during the Non Cooperation movement in 1921, he was the main leader in Bengal, leading the ban on foreign clothes. He walked the talk, by discarding his own Western dress for Khadi. He founded a newspaper called Liberty, and became the first mayor of Kolkata. When the Prince of Wales visited India in 1921, he was the one who organized the boycott in Kolkata of his visit. Though an admirer of Mahatma Gandhi, he differed with him strongly over the decision to suspend the Non Cooperation Movement due to the Chauri Chaura incident. He ultimately quit the Congress in 1922, due to his differences with Gandhi, over the entry to the Councils. While Gandhi was firmly opposed to any entry into the councils, Das felt he could better influence the British Government by being part of it. Again much like in the case of Netaji, Gandhi ensured C.R.Das motion on No Council entry was defeated by his own group. Along with Motilal Nehru and Chintamani Kelkar ,he founded the Swaraj Party in Bengal. Among other leaders in the party were his protege Netaji and Vittalbhai Patel. They contested the Council Elections hoping to block or make the Government repeal, what were patenly unjust laws. Chittaranjan Das emphasized the need for rural development, education in vernacular medium. A believer in women’s education and widow remarriage, his daughters had an intercaste marriage. An excellent poet he published two collections of his poetry Malancha and Mala and translated Aurobindo’s Sagar Sangeet( Songs of the Sea) into English. However the strenous work took a toll on his health and in 1925 , he went to Darjeeling to recover. Staying at the home of S.N.Sircar, called “Stay Aside”, he passsed away due to severe fever on June 16, 1925. His funeral in Kolkata was attended by around 3 lakh people. Mahatma Gandhi who led the funeral procession, had this to say about him. Looking at the massive gathering and the spontaneous outpouring of emotion Rabindranath Tagore, penned the following couplet, while Netaji Subash Chandra Bose, called his death as a great calamity for the nation. Enechhile sathe kore mrityuheen praan/ Marane tahai tumi kore gele daan. You had brought with yourself a life-without-an-end/As you depart, you donate the same. When one thinks of Sardar Vallabhai Patel, there is just so much to the man, that it is well impossible to explore his life in one singe article. But if I had to choose one part of his life, it would be the way he integrated, 500 odd princely states, into one nation. Imagine having to deal with multiple mini states, each having their own set of issues, and welding them into one single nation. Add to it, a newly independent India, dealing with the trauma of Partition, the Pakistan attack on Kashmir, and the Nizam of Hyderabad trying to create his own independent state. It would surely need a man of iron will to surmount these challenges, and it had to be Sardar Patel. It’s not without reason Mahatma Gandhi said -“The problem of states is so difficult, you alone can solve it”. This man with the iron will was born on October 31, 1875 in the small town of Nadiad, Gujarat. Determination was something, that was in bred in Sardar Patel, since his childhood days. There was this popular anecdote about him removing a boil on his body, that was causing him pain without wincing. When he just about managed to pass the matriculation exam, people around him felt he would settle in some ordinary job, not many really foresaw his greatness. However Patel had other plans, he was determined to be a lawyer, travel to England for higher studies in law, become a barrister. With fierce determination, he graduated from Middle Temple, studying with books he borrowed from other lawyers. He began to practice in Godhra, and later Valsad, Anand, becoming a succesful barrister. He was also an equally good bridge player. It was the way Mahatma Gandhi organized the Champaran agitation that caught Sardar’s attention, especially his call for action. His first encounter with the freedom movement was when he led the struggle against the system of veth or forced labor in Gujarat. In 1917, peasants in Kheda area of Gujarat, protested against the taxation imposed by British, as they were suffering from famine and plague. Gandhi was seeking some one who could lead the peasant’s struggle in Kheda, as he was tied down at Champaran, it was Sardar who took it up. Sardar later stated that his decision to lead the struggle in Kheda, came after contemplation as he would have to give up his career.It was not an easy decision for him to abandon his flourishing law career, involve with the freedom struggle, he did it. Kheda was where Sardar Patel would start his political career, as he went from door to door,mobilizing peasants not to pay taxes.When the British cracked down on the Kheda revolt, it was Sardar Patel, who helped the peasants hide themselves and their valuables.The British govt finally agreed to negotiate with Sardar Patel, and suspend payment of revenue in Kheda, yes his skills in organizing and negotiating go a long way back. There was a good reason why Gandhi wanted him to handle states. Kheda made Sardar Patel a hero, to Gujaratis and all over India too, winning the admiration of even pro British Indian politicians. He became the President of Gujarat Congress in 1920, he would continue in that post till 1945.During non cooperation movement, he toured all over Gujarat, recruiting more than 3 lakh members,raising funds over 15 lakh.An ardent supporter of Gandhi, he switched to Khadi later on, supported him on his stance over Chauri Chaura. As municipal president of Ahmedabad thrice, Sardar Patel, improved the drainage, sanitation systems, undertook school reforms. He also played a role in ensuring teachers in nationalist schools were recognized and paid for their services. His negotiating skills again came to fore in Nagpur in 1923, when he convinced the Govt to allow the hoisting of national flag. The Bardoli struggle in 1928, elevated his status further, as a leader, it was during this time, that he got the title of Sardar. It was the same as Kheda, taxes being imposed in spite of severe famine conditions, and at much higher rates. After interacting with villagers, Sardar Patel, organized a complete boycott of taxes, and Bardoli was more intense than Kheda.Using his organizational skills, he once again created a network of camps, volunteers,information in affected areas. And after a long struggle in Bardoli, he once again managed to negotiate a settlement repealing the tax hike. It was not just repealing tax hike, Sardar Patel also managed to get suspended village officers reinstated, return of seized property. His arrest during the Salt Satyagraha, resulted in massive protests all across Gujarat, launching an anti tax rebellion. It was during their imprisonment in Yeravada, that Sardar Patel and Gandhi developed a closer bonding with each other. In spite of the differences between them, he always respected Gandhi’s leadership, and was one of his staunchest supporters. He became the chief fund raiser for the Congress, and later Chairman of Central Parliamentary Board in 1934. Again during the Quit India movement, it was Sardar Patel who supported Gandhi all the way, for a total civil disobedience movement. Nehru, Rajaji and Azad were not much in support of Gandhi’s call for total civil disobedience, it was Sardar Patel who backed him fully. He felt that only an all out rebellion would force the British to quit India, and he threw himself into the 1942 movement. On 7 Aug, 1942, Sardar Patel, gave one of the finest speeches ever to the vast crowd assembled at Gowalia Tank during Quit Indian movement, that motivated the nationalists, who till then were sceptical about it. Once again his organizing skills came to the fore during the Quit India movement, which played a major role there. Arrested during Quit India, Sardar Patel spent 3 yrs in prison at Ahmednagar fort, where he read books,played bridge to keep himself busy. When India became independent in 1947, Sardar Patel moved into No 1, Aurangzeb Road, Delhi,and that would be his home till he passed away in 1950. He was one of the Congress leaders who accepted the inevitability of Partition first, something that did not go down too well with others. He felt that partition was the only way to counter Jinnah’s Direct Action campaign, and the communal riots in Punjab, Bengal. Gandhi was dead opposed to Partition, it was Sardar Patel who discussed with him the inevitability of it. As he stated the choice was between one division and many divisions, the hard facts had to be given precedence over emotions. He felt that a Congress-Muslim League coalition would be practically unworkable, and did not agree with Gandhi on that. Again when Delhi was faced with the massive refugee influx after Partition, Sardar Patel, established the Emergency Committee for order. His biggest achievement though would be the integration of the princely states and British provinces into one nation. When India became independent in 1947, there were two distinct entities, one that was directly under the British, and other the Princely states, under the British crown. Apart from these there were the colonial enclaves of French( Pondicherry) and the Portuguese( Goa, Daman, Diu). This how the map of India looked like during the British era, so one can just imagine the magnitude of the challenge, confronting Sardar Patel. And with differing positions on accession, a “one size fits all” strategy would have been counter productive. The concerns of the Princely states, would have to be taken into account, and balanced with the need for Accession. What Sardar Patel, did was use the traditional saam, daan, bhed, dand tactics, of negotiating with the states, addressing their concerns, and using force only as a last resort. The major issue he had to deal with was that of the Princely states, each of which had their own concerns and apprehensions to be dealt with. Bhopal, Hyderabad, Travancore, did not want to go along with India or Pakistan, and sought independent status. Both Hyderabad and Travancore reached out to Western nations for support, while Bhopal began to work upon an alliance with other princely states and the Muslim league in it’s favor. However the lack of unity among the princely states, meant the resistance fell flat. Add to it, most of the smaller princely states, were apprehensive of being dominated by the larger states. And there was no love lost between the Hindu and Muslim rulers. Another factor, that helped Patel’s cause was the Muslim League’s decision to stay out of the Constituent Assembly, that meant Bhopal’s plan did not work out. Also in most of the princely states, the ordinary people favored integration with India. The ruler of Travancore, abandoned plans for independence, after his subjects favored integration with India. The three persons who played a key role in the integration were Patel himself, Mountbatten and Patel’s Man Friday V.P.Menon. Mountbatten being on friendly first terms with most princes, categorically told them, that Britian would neither grant them any dominion status nor admit them into the Commonwealth. He also emphasized that integrating with India was better for the states economic interest, and also they did not have the resources to combat a likely Leftist insurgency. Patel and Menon came up with a policy to please the princely states, more conciliatory and seeking to negotiate, than force them. Patel promised a more federal structure, where the States would be treated as equals than subordinates under the Union. Two key documents, were presented by him, to the Princely states. One was the Standstill Agreement, which promised status quo and not doing away with existing practices of states. The other was Instrument of Accession by which the ruler agreed to accession to India, while having control over subject matters. It again varied from state to state. Only defense, external affairs, and communications were completely with the Centre, the rest were negotiable with the States. It guaranteed the States, a complete degree of autonomy over subjects they had jurisdiction over. Nor would the states lose their right to receive British honors or decorations. There were issues with border states like Jodhpur, whose ruler Hanwant Singh, was dead against Congress. Along with Jaisalmer, he began to negotiate with Jinnah, who saw this as a god given opportunity to gain control of strategic border areas. However the overwhelming support among the subjects of these two states, made the rulers change their minds, and both acceeded to India. Junagadh’s ruler wanted to accede to Pakistan, however the neighbouring princely states, vehemently opposed this idea, and tension was building up in Gujarat. Patel pointed out that Junagadh being 80% Hindu should be part of India, and called for a plebiscite. Simultaneously all food supplies, communications, to Junagadh were cut off, forces were sent to it’s border. With it’s Nawab and his family fleeing to Pakistan, by 1948, the Indian Government took over. Now came the task of completing the integration process, again each state had it’s own legislature and administrative set up, that Patel had to consider. The first step was to merge the smaller princely states, with other larger states to create a union. December 1947- Princely states in Odisha, Bihar, Central India signed merger agreements, forming part of those states by January 1, 1948. 1948- 66 smaller states in Kathiawar, and some in the Deccan, were merged with Bombay Presidency. These included Kolhapur, Baroda to create Bombay state, that would later split into Maharashtra and Gujarat. Other states were merged with Assam, United Provinces( now UP), Madras, East Punjab and West Bengal. 30 states of the erstwhile Punjab Hill States Agency were integrated into Himachal Pradesh, that was directly under the control of the Center. Himachal being a sensitive border state, it was felt necessary to be under Central control. Some of the larger princely states like Kutch, Bhopal, Tripura, Manipur, were directly bought under Central control. All the smaller princely states in Kathiawar were merged with Saurashtra. Madhya Bharat emerged in 1948, which consisted of Gwalior, Indore and smaller princely states. PEPSU( Patiala and East Punjab States Union) was formed by July 15, 1948 with merging of Patiala, Kapurthala, Jind, Faridkot. By May 1949, most of the Rajput princely states, were integrated into the United State of Rajasthan. By mid 1949, Travancore and Cochin merged to form Travancore-Cochin, that would later be Kerala. Madras Presidency was divided and neighboring princely states, were merged to form Karnataka( erstwhile Mysore State), Kerala( Travancore-Cochin), Andhra Pradesh( Ceded districts and Coastal area). And of course there was Operation Polo to integrated Hyderabad, that would be a separate article by itself, you can check that out here. Sardar Patel also played a key role in drafting the Constitution of India, and backed the appointment of Dr.Ambedkar as Chairman. The Kaira District Milk Producers Cooperative was formed with Sardar Patel’s guidance, and it would be a predecessor to Amul. Gandhi’s assasination upset Sardar Patel, who felt guilty that as Home Minister he could not prevent it, and offered to resign.Nehru, Rajaji and others defended Patel, in public, over the criticism to prevent Gandhi’s assassination. Nehru again wanted Rajaji to be first President, but Sardar’s backing for Babu Rajendra Prasad, helped in his election.The same with P.D.Tandon, whom Nehru did not want as Congress President in 1950, but was backed again by Sardar Patel. He was also instrumental in creating the IAS and IPS, has also been regarded as father of Indian civil services. He backed the bureaucrats fully, gave them a free hand, listened to them, the reason why they respected him so much. When Sardar Patel passed away in 1950, 1500 civil servants attended his funeral, to pledge complete loyalty to service of nation. Today he is no longer with us, but his legacy remains in the form of a united India. Of the many discriminatory laws that the British enacted, during their reign, one of the most notorious ones was the Criminal Tribes Act of 1871. It was ostensibly created to control criminal groups like the Thugees, however it ended up as an effective measure to penalize communities and tribes, whom the British believe mutinied against them in the Great Revolt of 1857. Basically, the tribes that were classified under CTA were mainly nomadic ones, making a living as petty traders, gypsies or in the hills, with no fixed location. To the British, their lifestyle did not seem civilized, and they felt those tribes were crime prone. By 1920, the scope of the Act was widened further, as more and more castes began to be bought into it’s ambit. In Madras Presidency, this act was widely used in the Southern part, primarily Madurai , Tirunelveli and Ramnad, where communities like Thevars, Maravars were bought under this draconian act. One man however decided to rebel against this unjust act, that classified any one who did not confirm to British ideas of civilization as criminal. Ukkirapandi Muthuramalingam Thevar also known as Pasumpon Thevar. Born in the village of Pasumpon in Ramanthapuram district, to Ukkirapandi Thevar and Indiraniammal on Oct 30, 1908. He grew up under the care of his maternal grandmother. after his mother passed away when he was small. He was mentored by family friend Kuzhanthaisami Pillai, who arranged his schooling too. He however had to drop out of studies, due to a plague epidemic and an ongoing legal case, over inheritance. Pasumpon came into the limelight with his unending struggle to get the Criminal Tribes Act repealed. When Maravars in 19 villages near Appanad, were forcibly registered under the Act, he led a massive campaign, urging people to defy it. However the British Govt, instead of removing the Act, enlarged it’s scope further, making Pasumpon resort to even stronger protests. He led a strident campaign against the Act, highlighting it’s discriminatory nature against certain communities in South. However he got no support from the Justice Party ruling Madras Presidency then, leading to a long time animosity with them. Fed up with the Justice Party, Pasumpon joined the Congress, hoping for it’s assistance in his fight against the Act. He toured the Southern districts, strengthening the Congress party in those areas, with his hard work and dedication. With his oratory and charismatic presence, he soon emerged as a formidable force in Tamil Nadu, especially the Southern part. However when he wanted to contest for President of Ramnad District Board, some Congress leaders led by Satyamurthy opposed him. Frustrated with the internal bickerings in Congress, Pasumpon later joined the Congress Socialist Party. During the 1937 elections to the Madras Presidency, Pasumpon began to mobilize the Thevar and Mukalathor youths against the Justice Party. So worried was the Justice Party, that they forbade him to travel outside Ramanthapuram district. He however had the last laugh, defeating the Raja of Ramnad, who was the Justice Party candidate, by a landslide. Though the Congress formed the Government in Madras Presidency, Rajaji as Chief Minister, made no effort to repeal the CTA. He also took active part in trade union activities,formed the Pasumalai Mahalakshmi Workers Union, around the same time. He led a long strike against management of Madura Knitting Company, forcing them to accede to the worker’s demands, though he himself was jailed for 7 months. One of Netaji’s closest associates, Pasumpon supported him during the 1939 Tripura Congress President election. Gandhiji put up his candidate, B.P.Sitaramaiah, for post of Congress President, but Netaji won the election hands down. He played a significant role in Netaji’s win, mobiling all the South India votes for him, in that Presidential election. When Netaji was forced to resign as Congress President, he quit the party and founded the Forward Block on June 22, 1939. Pasumpon, too quit along with Netaji, and joined the Forward Bloc, he would be one of the co founders. In a way Pasumpon was already disappointed by the Congress leader’s indifference towards repealing the Criminal Tribes Act. When Netaji visited Madurai on Sept 6, 1939, it was Pasumpon who organized a massive rally for him there. Matter of fact, he became Netaji’s representative down South, mobilizing youth, to volunteer for the INA. To date, Netaji and INA is still popular in most Southern districts of TN, and that was very much due to Pasumpon who moblized support. When restrictions on Dalit entry to Hindu temples was removed, Pasumpon was the first to support it, and he actually led many temple entry movements. His rising popularity among the masses, made Congress leaders worried about Pasumpon Thevar, as also his militant nature. He was jailed for 18 months in Trichy, with a criminal case registered against him, widespread protests happened against his arrest. Again in 1945, when Rajaji wanted to contest for Congress president post in Tamil Nadu, most of the members were against him. In 1946, Pasumpon was elected from Mudukulathur, and the CTA too was repealed, his struggle had borne fruit now. When Congress party in Tamil Nadu, expelled most dissenters, Pasumpon became the President of the Forward Bloc in TN, which he would lead. So popular was he, that in the 1952 General Election, he managed to win both Arupukottai LS seat and Mudukalathur Assembly seat, inspite of Congress sweeping the rest of the nation under Nehru. When Congress fell short of a majority in the Tamil Nadu assembly, Pasumpon tried forming a non Congress coalition with Left parties, it however failed. He once again won the General Elections in 1957 from Arupukottai LS and Mudukulathur assembly seat. However there was a split in the Forward Bloc itself, with the section headed by Sheel Bhadra Yajee and Mohan Singh, merging with the Congress. However with Pasumpon deciding to enter Lok Sabha, a by election was necessary for the Mudukulathur Assembly seat, that would spark off a major riot. While the Maravars supported the Forward Block, the Pallars supported the Congress. Sasivarna Thevar of Forward Block, won the poll, and the victory celebrations triggered off caste clashes between the Maravars and Pallars, which soon spread like wildfire. Returning from Delhi, Pasumpon took part in a Peace Conference on September 10, 1957 along with Sasivarna Thevar and Velu Kudumban, a Pallar, that managed to broker a peace between the warring communities. He however was arrested for the alleged murder of Emmanuel Sekaran, a Congress leader, was later acquitted and released. In 1959 , after his release from prison, Pasumpon put together a coalition of Forward Block, Left parties and ensured Congress lost for the first time in Madurai muncipal polls. However his health began to deteriorate and four years later he passed away on Oct 30, 1963, yes the same date on which he was born. Pasumpon provided a genuine Non Congress ideology, that was founded on spiritualism, nationalism, a true Dharmic-Indic alternative. Though belonging to Forward Bloc, he was pretty much a Dharmic, spiritual person and was against Soviet version of Marxism. He never got along with the Leftists, due to their rejection of Netaji and their anti Hindu stand. He was equally critical of the Dravidian movement, condemned their secessionist tendencies. A true nationalist, and a Dharmic, he could never support the Leftists, nor the Dravidian movement. He was more spirutually inclined, never really got along with Marxists, nor was he in favor of the Dravidian rationalism kind. His Dharmic, Indic outlook was at total odds with the Dravida Kahagam’s ideology, and they never got along. His passing away, created a void in the non Congress space in TN, that was fillled up by the Dravidian parties. Pasumpon Thevar is no more, but his legacy, and his struggle to get the CTA repealed, would forever be remembered. Swami Vivekananda was one of the towering icons of the Bengal Renaissance. A man who inspired Hindus with his call of “Arise, Awake and Stop Not Till you reach your goal”. And his clarion call, inspired the nascent revolutionary movement in India, as well as a whole generation that began to discover the pride in their roots and heritage. He made youth shake off their inferiority complex bred for years by a Macaulayized education system, that showed India as a savage, inferior nation. Swami Vivekananda, inspired some of them, were his fellow disciples who founded the Ramakrishna Math, and some spread his message to the people, while others found refuge in the creative arts. One such was actually from outside India, Margaret Elizabeth Nobel, better known to us as Bhagini Nivedita, one of Swamiji’s most loyal disciples, who spread his message. It was not just Swamiji’s message, her contribution to the nationalist movement is significant too. She had close contacts with many revolutionaries, was one of the forces behind the Anti Bengal partition movement against Curzon. Apart from that she made contribution to women’s education, revived Indian art forms, promoted science, and worked on relief during epidemics and famines. She was one of the driving forces behind the Bengal Renaissance, that produced some of the finest artistes, writers, scientists, thinkers and freedom fighters. The woman who created such an impact was born as Margaret Elizabeth Nobel, Dungannon, a small town currently in Northern Ireland. Her father, Samuel Richmond Noble, was a pastor himself who taught her “Service to mankind is service to God” which she later made as her life’s guiding principle. Her maternal grandfather, Hamilton, was one of the leading lights of the early Irish nationalist movement.. With her father passing away when she was just 10, her mother Mary, bought her to her grandfather’s home where she grew up. She imbibed her father’s religious temperament as well as her grandfather’s nationalist spirit. A brilliant student, Margaret Noble, began her career as a teacher at just 17, and was also a prolific writer of sorts too. She worked for some time in a Welsh coal mining town, where apart from teaching she helped the poor too. By the time she was 25, she started her own school in Wimbledon, influenced by the ideas of noted German educator Friedrich Froebel. However tragedy struck her personal life, when her Welsh fiance passed away just after their engagement. Grief stricken, she dedicated her life to the cause of education, and serving the poorer classes of society. The turning point came in November , 1895, when Swami Vivekananda, was touring England. By that time, she had established herself as one of the leading intellectuals in London’s elite circles and an educationist of note. Though a devout Christian, she was not really satisfied with what she heard. The Church seemed to be incompatible with her own belief system. On her friend’s invite she attended a lecture on Vedanta by Swami Vivekananda, “A majestic personage, clad in a saffron gown and wearing a red waistband, sat there on the floor, cross-legged. As he spoke to the company, he recited Sanskrit verses in his deep, sonorous voice” in her own words. She felt she had discovered the truth she was looking for. She had a good knowledge of Eastern philosophy , but Swamiji’s word’s seemed to be speaking directly to her, beyond mere books. I had recognized the heroic fibre of the man, and desired to make myself the servant of his love for his own people. But it was his character to which I had thus done obeisance.Suppose he had not come to London that time! Life would have been a headless dream, for I always knew that I was waiting for something. I always said that a call would come. And it did. But if I had known more of life, I doubt whether, when the time came, I should certainly have recognized it. She soon attended a series of lectures by Swamiji, and her mind was made up. Sensing the interest and passion in her about India, Swami Vivekananda, invited her, he felt she had a role to play there. Believing that only education cud liberate the people of India, he asked Elizabeth Noble to help in that cause. Finally on January 28, 1898, Margaret Nobel arrived in India, leaving her family and friends,in Ireland, responding to Swami Vivekananda’s call. She spent the first few weeks in India, learning about the culture, history, heritage from Swamiji. Around this time, 2 of Swami Vivekananda’s lady disciples, Sara Bull, Josephine McLeod also came to India and she became close friends with them. He introduced Margaret Nobel to the audiences in Kolkata, and she later met Sharada Devi too. You have to set yourself to Hinduize your thoughts, your needs, your conceptions and your habits. Your life, internal and external, has to become all that an orthodox Brahmana Brahmacharini’s ought to be. The method will come to you, if only your desire it sufficiently. But you have to forget your own past and to cause it to be forgotten. You have to lose even its memory- Swami Vivekananda. 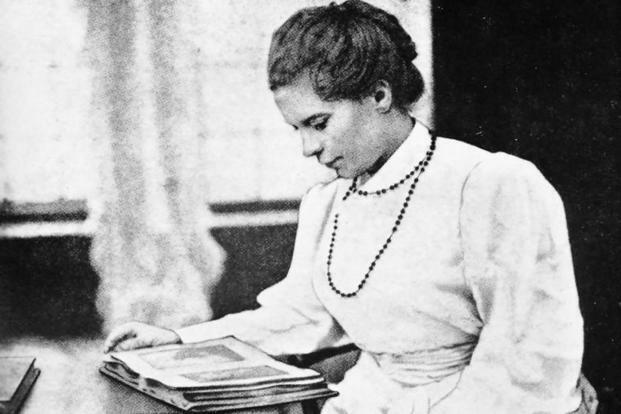 On March 25, 1898, Margaret Elizabeth Noble, was formally initiaited into Brahmacharya and was given the name of Nivedita, the dedicated one. She had a very close bonding with Sharada Devi, who affectionately called her Kooki( younger girl). In India she had found her soul’s home and destiny. She recorded her experiences with Swami Vivekananda in her book The Master As I saw Him, considered herself his spiritual daughter. Sarada Devi was the one who inaugurated Nivedita’s school for girls, and sought the blessings of the Divine Mother. She had a very strong bonding with Sharada Devi, whom she regarded as one of the strongest and wisest women, under her very simple and unassuming appearance. Sharada Devi on the other hand admired Nivedita’s sincere devotion to her-” She never considered anything too much she might do for me”. The very iconic picture of Sharada Devi, was taken by Nivedita herself. Nivedita also traveled extensively in India, along with Swami Vivekananda, Josephine McLeod, Sara Bull, connecting to the masses. She travelled in Nainital, Almora, where she learnt meditation, and then to Kashmir, all over the Himalayas. Settling in the neighborhood of Bagh Bazaar, she started a school for girls at her home, 16, Bosepara Lane. She believed education should combine traditional Indian values with modern learning. When Swami Vivekananda passed away in 1902, Sister Nivedita was all the time beside him, fanning his body, while disciples and others visited him to pray respects. She attended his cremation too, and carried a small saffron cloth as her memory of Swamiji. Nivedita did yeoman work for the cause of women’s education, travelling from home to home to educate the girls. She designed Basu Vigyan Mandir,institute for higher scientific reserach by Bose, based on Hindu,Buddhist concepts. Her Baghbazar residence, became a rendezvous for such eminent personalities like Tagore, Aurobindo Ghosh, JC Bose and Gopal Krishna Gokhale.She did yeoman work for the cause of women’s education, travelling from home to home to educate the girls. She designed Basu Vigyan Mandir,institute for higher scientific reserach by Bose, based on Hindu,Buddhist concepts. She sent Abanindranath Tagore & team of painters to newly discovered Ajanta, Ellora to study arts,bring them mainstream, Tagore, Jagdish Chandra Bose were quite close to Nivedita and she was a great influence on Aurobindo. She encouraged J.C.Bose in his scientific research, helped him financially, as well as ensuring he got recognition. Tagore praised Nivedita’s contribution saying that J.C.Bose success owes a lot to her support, and she deserves as much credit. A true nationalist, Nivedita whole heartedly supported the freedom movement, witnessing the brutal oppression of British rule. She had to disassociate herself from Ramakrishna Mission, owing to her political activities, however she still was respected there. She was in close touch with revolutionaries of the Anushilan Samity, many of whom were inspired by her writings. When Lord Curzon tried to claim the superiority of the West, she exposed how he had resorted to fraud for his own purposes. Curzon was forced to apologize, after newspapers like Anand Bazar Patrika, carried her statements exposing his duplicity. When Bengal erupted against Curzon’s decision to partition in 1905, Nivedita again supported the movement financially, backing the rebels. Subramanya Bharati, was motivated to work for women’s education after his meeting with Bhagini Nivedita in 1906. Many artists like Abanindranath Tagore, Ananda Coomaraswamy were guided by Bhagini Nivedita. She had a close friendship with Aurobindo, edited his newspaper Karma Yogin, she was one of the major influences on him. In effect she played a major role in the Bengal Renaissance, helping people financially, giving them the guidance and support. Abanindranath Tagore’s painting of Bharat Mata was influenced by Nivedita’s book Kali, the Mother. Another well known book by her is Cradle Tales of Hinduism, on various stories dealing with the Itihasas, and Puranas, covering stories of Savitri, Prahalad, Gandhari, Shiva-Parvathi in a very simple format. Though her writings and books, Bhagini Nivedita, explored Indian culture, history in depth, and presented it to the world. “Here reposes Sister Nivedita who gave her all to India”.